This black 8-Drawer tool chest is made from high grade all welded steel construction and finished with tough black industrial powder coat paint. 4 small, 1 medium and 3 large drawer are ideal for a wide array of items. All drawers feature 50 lb. rated ball bearing drawer slides. All drawers have extra-large full width aluminum drawer pulls for easy access. The cabinet drawers are secured by a keyed internal locking system and come with 2 keys. This Super Heavy Duty 35 inch. 5-Drawer Top Chest is BU.jpgilt to last with thicker steel and stronger design for rugged work environments that a Professional would experience. It's equipped with heavy duty ball bearing slides for smooth performance and is a great solution for your tool organisation needs. Seattle Tool's 19" Tool Chest is a handy tool chest built to maximize storage potential without sacrificing strength and durability. Heavy-duty and lockable double-walled chest features two ball-bearing slide drawers with a chest lid compartment. Constructed from premium cold rolled steel with scratch, grease and corrosion resistant powder coating. 26-inch 8-Drawer Tool Chest This black 8-Drawer tool chest is made from high grade all welded steel construction and finished with tough black industrial powder coat paint. 4 small, 1 medium and 3 large drawer are ideal for a wide array of items. All drawers feature 50 lb. rated ball bearing drawer slides. All drawers have extra-large full width aluminum drawer pulls for easy access. The cabinet drawers are secured by a keyed internal locking system and come with 2 keys. 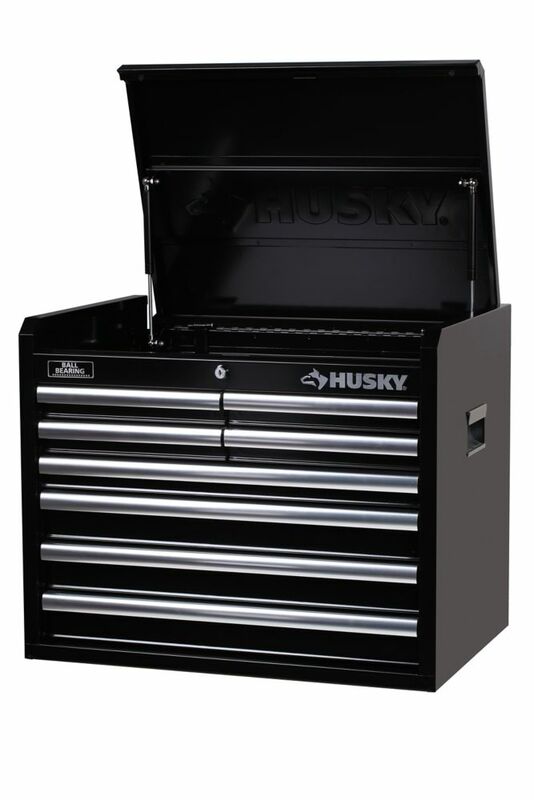 26-inch 8-Drawer Tool Chest is rated 5.0 out of 5 by 1. Rated 5 out of 5 by Melville85 from Fantastic value 26" Tool chest I looked everywhere for a 26" tool box that was bigger than most with deeper drawers. This one is the one! Well made smooth drawer operation and it fits the bottom section I already had. Nothing anywhere else had the features at this price and I looked. This is best deal on a 26" box you will find, if it goes on sale its even better. The shipping worked flawlessly and it arrived undamaged.